A 1955 Porsche 550 Spyder. Having created and starred in a pretty successful TV show a few years back, it’s safe to say that Jerry Seinfeld is not too hard up for cash. His bank account just got a little richer this weekend however, with the sale of 17 of his antique cars, totaling more than $22 million at auction. 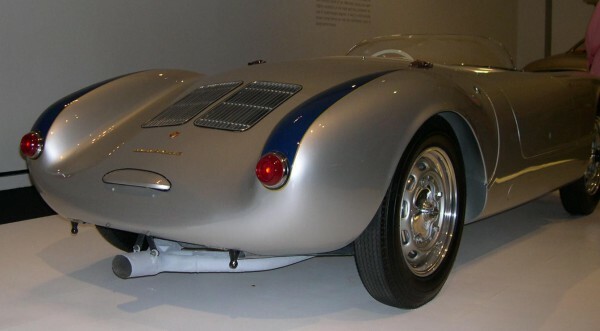 In a listing that would make car collectors’ mouths water, Seinfeld sold off 15 Porsches and two Volkswagens, including a 1955 Porsche 550 Spyder that was sold for $5,335,000. Only one vehicle failed to sell on the night, a non-drivable Carrera GT concept car that didn’t hit the $1.5 million minimum, despite being one of only two of these in the world. To read more about this story, head over to the LA Times.